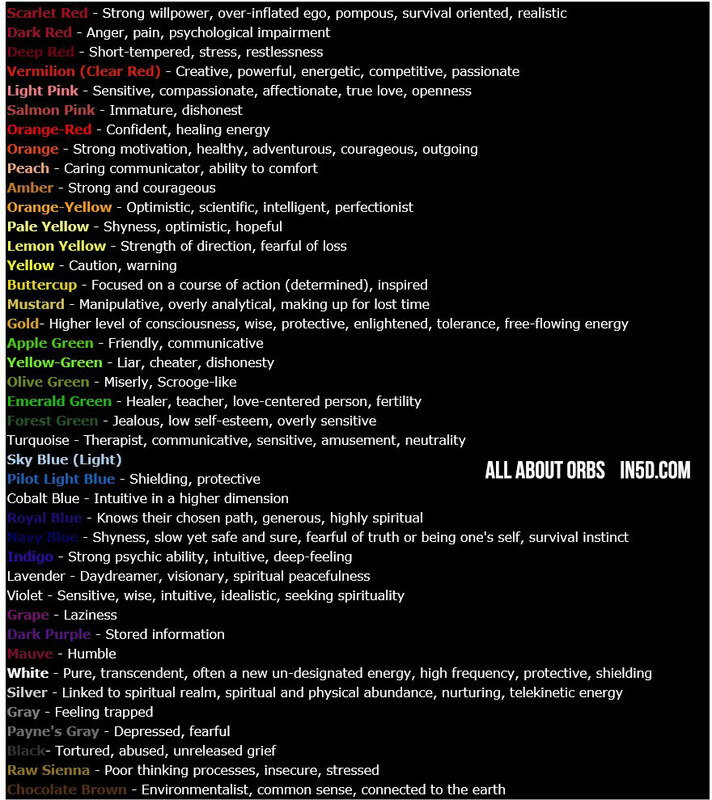 The following chart shows the possible meaning for various orb colors. I say possible because I am skeptical as to the validity of such information. The issue is that there is no true scientific way to determine how an orb is “feeling” you can’t say, “Excuse me orb you’re looking a little red are you stressed?”. The meanings associated with the following colors are generally human emotions that are often associated with the colors. Still, there are many people who wholeheartedly believe the color and meaning are valid. 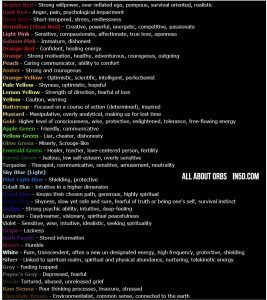 So, because I really don’t know either way… here is a chart I found listing the meanings and colors.